This recipe explains how to add collectable items to your game. First create a new object that will be our new collectable item. In our example we used a coin, which we will use to increment a score counter. 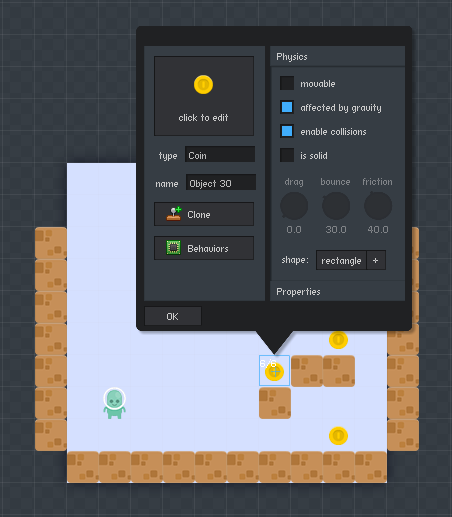 Add a new Collision trigger, and set it to the type of your player object. This way, the trigger will fire when the player contacts it. 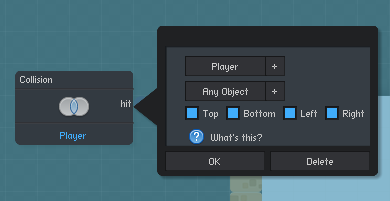 Add a new Sound behavior, and select a sound to play. A custom sound can be played instead by adding an .mp3 URL. 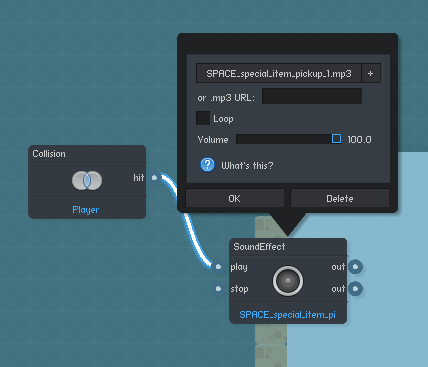 If using a URL: Make sure it ends with ".mp3"
When the play input is connected to the Collision trigger's hit output, the selected sound will play when the player touches the item. Add a new Destroyer behavior. 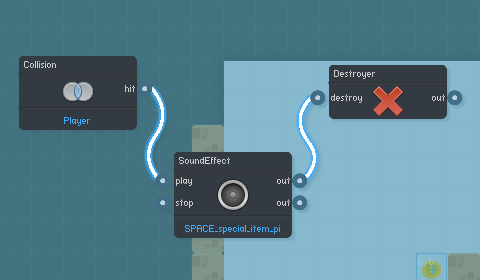 When connected to the output of the Sound behavior, this will remove the item object from the game when the sound plays. When the player touches the item, increment the score. 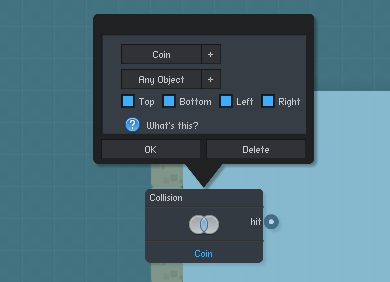 Add a new Collision trigger, and set it to the type of your item object. This way, the trigger will fire when the player contacts it. Add a new Number behavior to store the score. 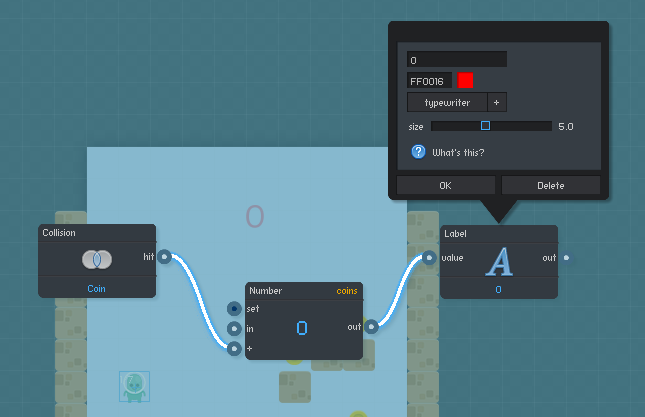 Connect the hit output of the Collision trigger to the + input of the Number behavior. This will increment the number each time the Player touches the collectable item. Add a new Label behavior to display the score. 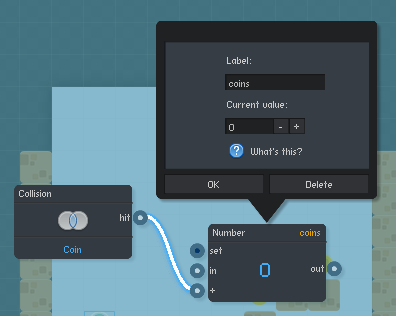 Connect the output of the Number trigger to the value input of the Label behavior. This will display the newly updated score value on the screen.